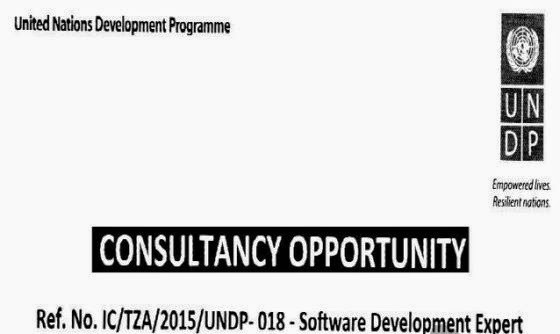 United Nations Development Programme (UNDP) Tanzania Country Office wishes to engage a competent Individual to undertake the above mentioned assignment detailed in the Terms of Reference (ToR) embedded in the above specified Individual Procurement Notice (ICPN). Interested eligible bidder may obtain the complete documents (the TOR, ICPN, IC Conditions and P11) from the following link: http://we.t1/5oyqoimTwx. Applicants should separate Technical and Financial Proposals. Applications with no financial offer or missing P11 form and CV or the required documents for the technical evaluation will not be considered for evaluation. Applications without submitting a financial offer instead of other format will not be considered due to the ease comparison of the received offers. All necessary information for this post (TOR, Deliverables, Target dates, etc. are presented in the ICPN) therefore applicant must download it from the website as mentioned above. Do not send CV only to the Email account mentioned above without Cover Letter and Methodology (if reqiiested) as it will be considered as incomplete application. Proposals should be submitted to icprocurement.tz@undp.org e-mail address not later than Friday, 22 May 2015 at 13:00 hours Local Time.